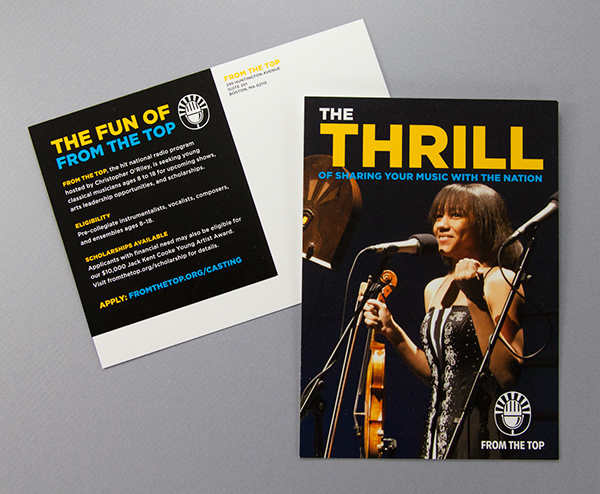 From the Top is a non-profit organization that celebrates young classical musicians, best known for its nationally broadcast NPR show. This poster and postcard were elements of a campaign I created to target an audience of musicians under the age of eighteen. 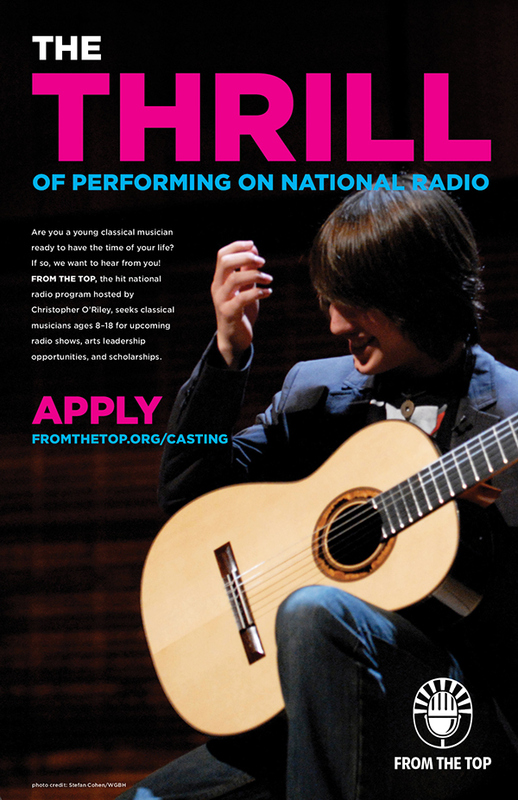 Using bold, relatable imagery and exciting keywords, the campaign aims to recruit young musicians for From the Top’s NPR program. All design is original with the exception of the From the Top logo.